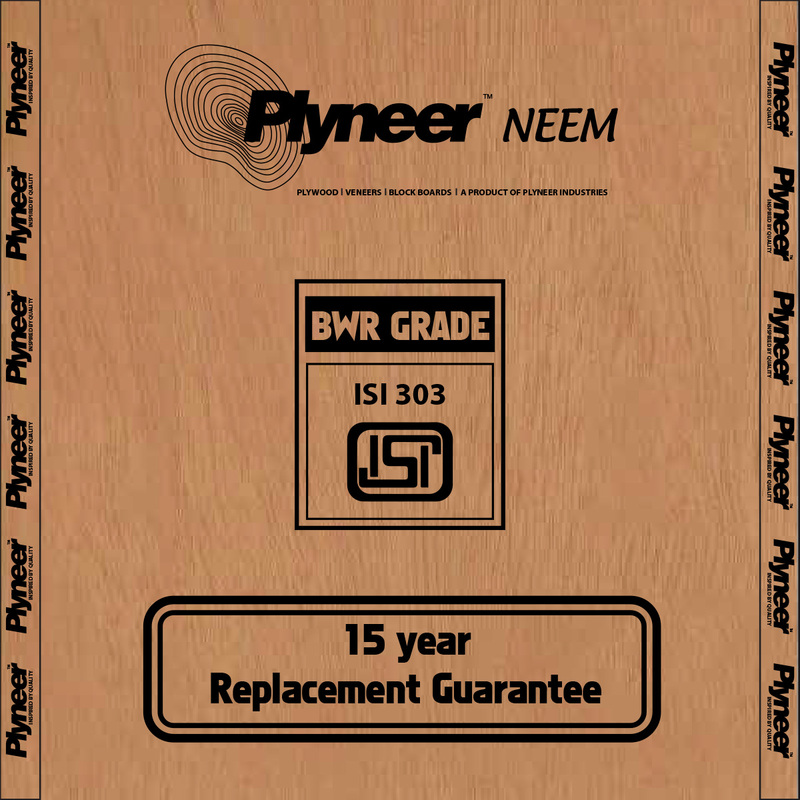 Neem BWR Grade Plywood is boiling water resistant plywood. It is manufactured using rotary peeled smooth veneer. The veneers are tightly cut and bonded using synthetic compounded phenol formaldehyde resin. BWR ISI 303 grade is bonded with improved and indigenously compounded phenol formaldehyde synthetic resin under controlled temperature and pressure. The tough treatment given to this B.W.R grade plywood makes it sturdy in which the Veneers are treated with preservatives. Glue line is fused with chemicals for borer and termite protection, while the finished panels are treated with acid copper chrome and boric acid compound. B.W.R Plywood does not swell even after it is immersed in hot water for 8 hours boiling and therefore is ideal to be used at hot, humid and moist locations. The result is a high quality ply that can resist boiling water, cold water, climate variations including termite and borer attacks.